Having a personal care agreement between parent and child can help you avoid conflicts down the road. When Beth’s mother, Maria, started to show signs of confusion, Beth decided to have her widowed mother move in with her. Although Beth worked full time as a hospital kitchen supervisor and wasn’t home for most of the day, Maria seemed to do OK. But soon, Maria started to become increasingly disoriented—forgetting how to make herself lunch and how to get dressed. Beth decided she had no choice but to stay home with her mother, and Maria agreed to pay her for her caregiving. The situation was working well until Beth’s estranged sister discovered the financial arrangement and accused Beth of stealing their mother’s money—and their inheritance—and threatened legal action. Beth’s situation is not uncommon. Nearly 18 million people care for an ailing relative who is 65 or older. A majority of family caregivers are women age 50 and above, most of whom do not receive financial or other support for their services. In Beth’s situation, one document could have helped her avoid conflict with her sister as well as meet requirements for Medicaid that her mother might need in the future. A personal care agreement (PCA) establishes a contract for care between a caregiver—in this case, a family member—and care recipient—here an aging parent who needs assistance. First, by listing the specific caregiver duties and compensation, a PCA can help avoid family conflicts later. A healthy discussion beforehand with siblings (or other involved family members) can clarify issues and assure family members that the parent is being taken care of and that the caregiver has certain responsibilities to meet. Experts advise follow-up meetings to add or subtract from the list of services if the parent’s situation changes, such as becoming more disabled and needing additional care. The agreement also assures the parent that they will receive help and that the whole family is (hopefully) on board with this arrangement. (To ensure this, the care receiver can use the “Five Wishes” living will to explain and put in writing their wishes for caregiving.) 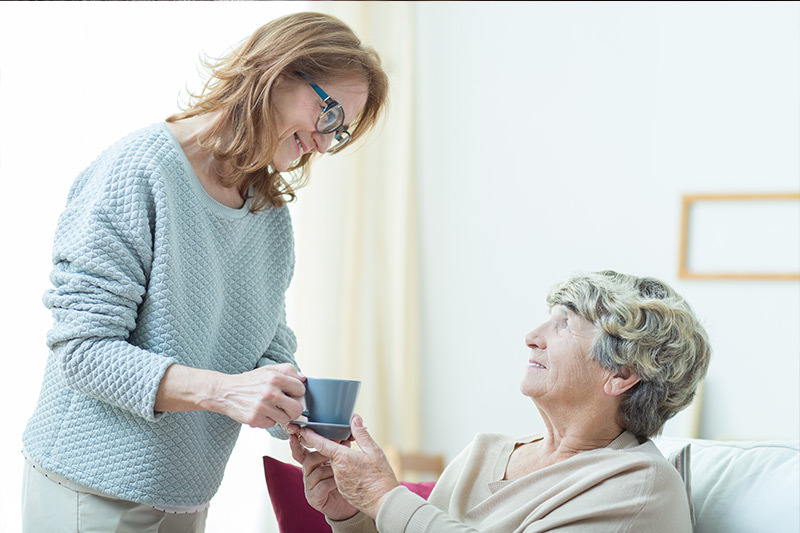 The family caregiver can feel secure knowing they will receive compensation for their services and will not have to take on a huge financial burden. Second, if the person receiving care needs to eventually go on Medicaid, a PCA helps establish that the disbursed funds were compensation, not a gift. Under Medicaid’s rules, the person applying for assistance cannot give away (or hide) their assets in an attempt to meet Medicaid’s limit of $2,000 in assets (spouses have different criteria). The joint federal and state program, which helps with medical costs for people with limited income, uses a “look-back” period of five years to review such activity. A PCA shows that the caregiver is receiving legitimate wages for their services. In extreme cases, authorities may also view caregiver payments as the adult child exploiting a parent or someone in need. A PCA shows that the parent willingly entered the agreement. Compensation. To determine how much to pay the family caregiver, find out the going rate for home services in your area. If you are talking to home care agencies, remember that they charge more than a private caregiver because they take a percentage of the fee to pay for unemployment, workers’ compensation, payroll taxes and other legal responsibilities. Although the median cost nationwide for home health aide services is upward of $125 a day, assuming 44 hours of care per week (according to the Genworth 2016 Cost of Care Study), make sure to use the median cost in your area. To avoid any later scrutiny, do not charge more than what an independent caregiver would receive. It’s also helpful to detail how often the caregiver will be paid (weekly or monthly, for example). It’s not necessary for a lawyer to write the personal care agreement (PCA), although it may help in certain circumstances, such as when the caregiver also has power of attorney and must sign the contract for their parent. Also be aware that this contractual relationship is between an employer (the care recipient) and the employee (caregiver), even when parent and child. This means the caregiver is subject to withholding taxes. If you decide to write the PCA yourself, you can find forms (Elder Care Agreement, Form 85) in the book 101 Law Forms for Personal Use. Hours. How many hours a week will the caregiver provide care? It’s important to make sure everyone is on the same page and has the same expectations. Write the amount as something like “20-30 hours a week” or “less than 50.” This gives everyone a starting point, but you can change it later. Duration. Be as specific as possible. For example, choosing an end date, such as six months from the start, gives the parent, child and other interested parties the opportunity to review the agreement and make any necessary changes. As an alternative, the contract could be open-ended, with the stipulation that either party can terminate the agreement, with advanced notice of written consent, or by mutual agreement. Another option is to trigger the contract’s end by listing qualifying events, such as a hospitalization or entrance into a nursing care facility. Help for caregiver. To avoid burnout, the caregiver will need time off for respite or sickness. Can another family member or family friend step in to provide temporary care? Or will it be necessary to hire an outside caregiver—either private or from an agency? Spell out these details in the PCA. Be aware that care agencies generally need 24 to 48 hours to start a service agreement and provide a qualified caregiver. Another option is assisted living communities, many of which have “respite” stay options that can relieve the caregiver. Usually these communities require a minimum of 2 to 4 weeks for taking care of your loved one. Sign the agreement. Both the parent(s) and child need to sign the contract before any service begins. For extra legal protection, it’s a good idea to have the signatures notarized. While the services, hours and compensation are necessary, you can also add other sections to the agreement. Even if you don’t include this information in the contract, it’s wise to consider these scenarios. Back-up plan: If the home caregiver situation doesn’t work or events change, consider what the next step might be. In some cases, you may choose a different caregiver or decide to move the parent into assisted living or other skilled facilities. It’s helpful to research the different options and their costs before the situation becomes a crisis. Placement/referral agencies can help families examine the options, whether that be in-homecare agencies, assisted living communities, memory care units or adult family homes. A daily log. Keep a journal of the care recipient’s activities and what was required of the caregiver. This daily log not only helps the caregiver provide a clear picture of what is most needed but can protect the caregiver if an outside party—Medicaid or another family member—wants proof that care was provided. The PCA could include a requirement for such documentation. “Into the Matrix of Law and Caregiving,” June 2016, American Bar Association. “Personal Care Agreements Can Compensate Family Caregivers,” AgingCare.com. “How to Prepare an Agreement to Care for a Family Member,” Sept. 08, 2016, AgingCare.com. “Creating Effective Agreements for Payment of Family Caregivers,” February 2016, American Bar Association. “How to Compensate a Family Member for Providing Care,” Family Caregiver Alliance.